Yep, you heard it right! 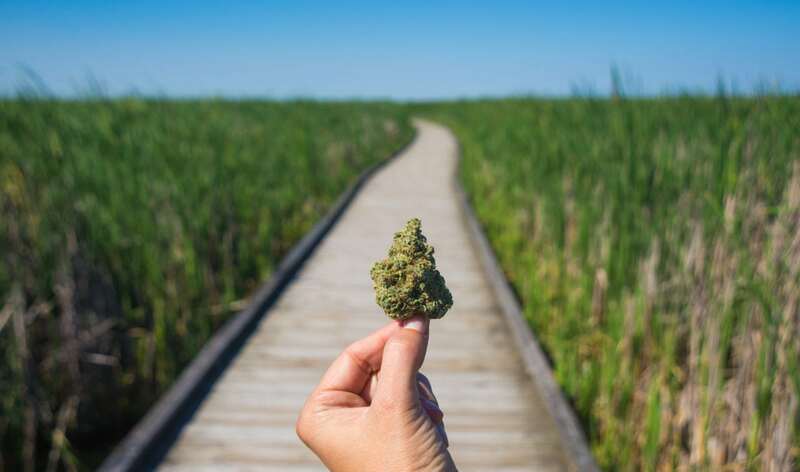 Trellis along with Baker, the original creators of this exciting campaign and movement, and seven other leaders in the cannabis industry launched a new initiative: the Future of Cannabis Retail campaign. What’s the Goal of the Future of Cannabis Campaign? The goal of this campaign is to be a catalyst for a movement to transform the industry from one that still is more fragmented than we’d like and create a highly collaborative cannabis ecosystem. You may have gotten a social media sneak peek of the campaign that coincided with 4/20. We used the hashtag #futureofcannabisretail. After creating quite a splash in the industry, the Future of Cannabis Retail campaign went into high-gear among other efforts, we debuted a short film, eponymously named the Future of Cannabis Retail. The short film was produced by award-winning film and animation studio, Post Modern Media. Debuting at MJBizConNEXT, the film gave conference attendees the opportunity to experience a mini IMAX-like experience on the exhibition floor. To demonstrate how data transparency and other tools can positively influence the many facets of the cannabis industry across the cannabis ecosystem — from seed-to-sale – the short film includes emotive spoken word elements paired with engaging motion graphics. Invoking powerful spoken word poetry, the film provides viewers a peek into an industry that has overcome incredible odds to capitalize on new opportunities, taking an industry from incubation to a robust, fast-growing market poised to grow to $57 billion by 2027. StickyGuide for Business: a cannabis marketing technology company featuring TV menus and mobile apps. To learn more about the Future of Cannabis movement, check out www.futureofcannabisretail.com. What do you think about the Future of Cannabis? We want to know. Reach out to us on our contact page.